We decided from day one that the best way to design, build, deliver and support client solutions was to fully integrate all product applications and tools with the Internet and all that comes with it. With that in mind, SchoolBrains is delivered to customers with our on-demand Software as a Service solution. For an affordable, value-based subscription fee SchoolBrains clients access our applications on-demand via the Internet. With SchoolBrains hosted solutions, implementation costs are typically significantly lower than the price-tag associated with the development of custom, in-house solutions or that of buying and internally implementing software and hardware from outside vendors. As many of us in the technology arena have already experienced, initial custom software development outlays are usually a mere fraction of the long-term costs. Sprawling infrastructure, development, maintenance and innovation projects across a large user base then add to the overall cost. With SchoolBrains, clients get solutions that are tailored for each client and user, always up-to-date and always ready to help companies meet new challenges without suffering from growing pains. Because subscription fees are value-based, customers can reliably forecast their IT costs over several years. Unlike custom development or internal implementation of packaged software where future costs of technology change and ongoing development and maintenance are often unknown, SchoolBrains provides customers with predictable costs in advance. SchoolBrains delivers product and technology advancements to clients instantly and without disruption. SchoolBrains has Self Improving Software that provides clients with continuous, automated updates to our technology and product enhancements. With typical internally implemented software, clients are challenged at every data point by the daunting task of keeping your company’s systems up-to-date while keeping costs down. With SchoolBrains, clients can work on how to increase their organization’s success while SchoolBrains provides solutions that will scale and adapt to changing business requirements. High capacity infrastructure data center, with full system and database redundancy, load balancing and fail-over. 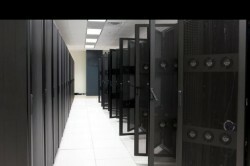 Our data centers are in guarded and secured commercial co-location facilities, with state-of-the-art monitoring, full data encryption and advanced virus protection for maximum security. This extraordinarily secure, high performance infrastructure would cost you a fortune to replicate, whether you attempted to build it in-house or to pay for similar services at a co-location or high-end shared hosting facility.